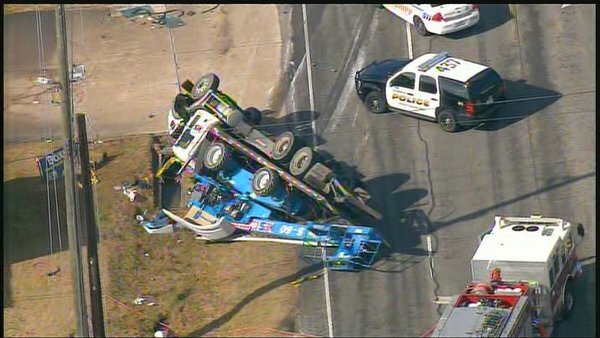 An accident this morning in Humble involving a flatbed truck carrying a bucket lift has injured at least one person. 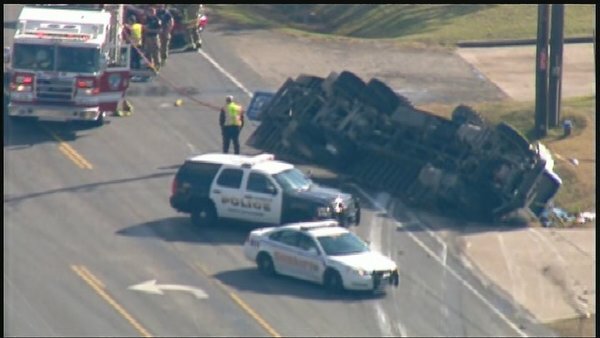 The crash occurred around 10:15 a.m. on E. FM 1960 near Moon Trail Drive. A picture from Channel 2’s web site shows the flatbed truck laying on its driver’s side, apparently having slid on the roadway for some distance based on the scrape marks. Life Flight was called out to transport at least one victim, and FM 1960 was temporarily closed. Update: an article on KHOU’s web site identifies the victim in the passenger car as being a retired HPD police officer named Larry Moody. The passenger car involved appears to be a Mercury Grand Marquis. 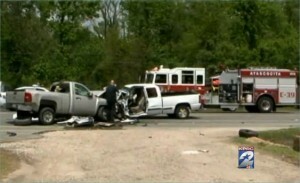 Board certified personal injury attorneys for truck accidents: Smith & Hassler, Houston, Texas. One person was killed in a two vehicle accident on the FM 1960 bridge over Lake Houston. 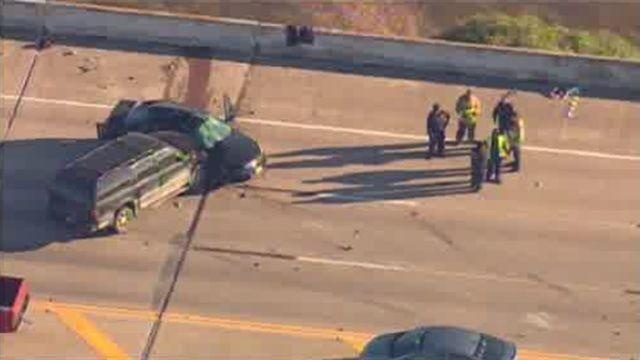 The crash happened around 4:00 p.m. on Tuesday January 7th, 2014. It appears a dark colored SUV, possibly an older model Ford Explorer, struck the passenger side of a black car. Channel 2’s report is here. DPS Trooper John Sampa was injured in a two vehicle accident today. While driving a DPS patrol car eastbound on FM 1960 West off Highway 249 a driver pulled away from a stop sign and in front of Trooper Sampa. 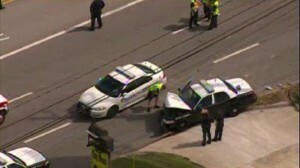 Both the civilian and Trooper Sampa were taken to Methodist Willowbrook in stable condition, according to Channel 2 News. Channel 13 reported that the Trooper may have broken his arm in the accident: hopefully not, that would probably mean an extended leave of absence from work. 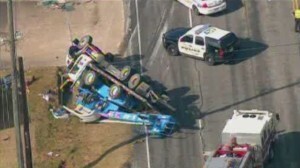 Video on KHOU’s web site shows the drivers being loaded into ambulances at the accident scene. 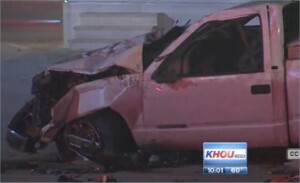 RELATED LINKS: Houston car accident attorney information; insurance companies and car accidents. 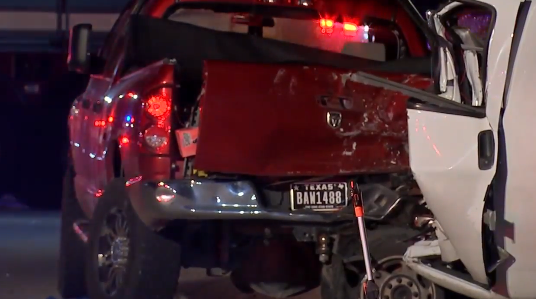 Police believe speeding contributed to a four vehicle accident on FM 1960 near Arestian Road that seriously injured several and killed and killed an elderly driver. 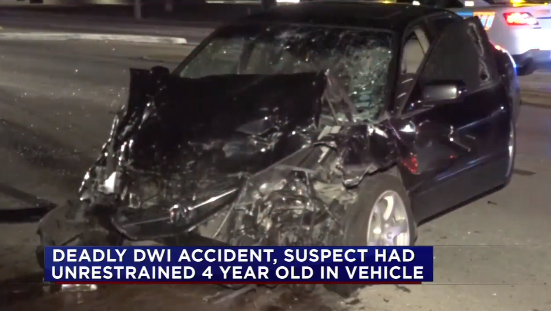 Leo Anders with HCSO said that witnesses reported a white-colored Chevy Silverado pickup truck veered into oncoming traffic, striking three other vehicles including a red minivan, a green Jeep and a gray pickup truck. The Jeep rolled onto its side in a ditch. The elderly driver of the gray pickup truck did not survive the accident: his truck and the white Silverado crashed head-on. 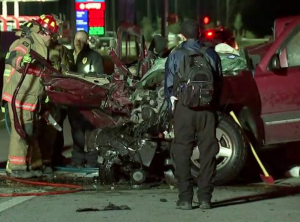 Investigators think speed contributed to the accident, but not alcohol. 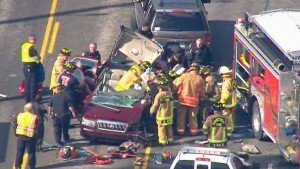 Four people were transported from the accident scene, two by ground ambulance and two by air ambulance. 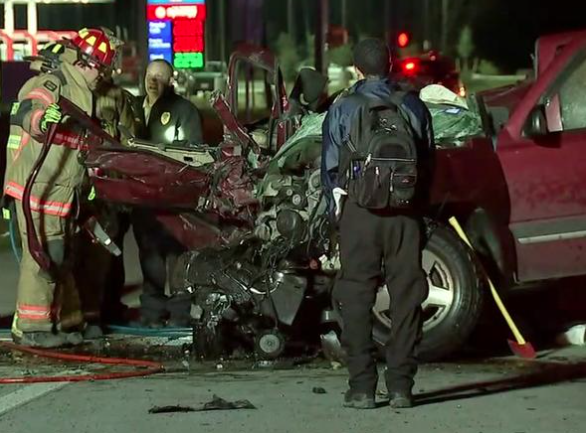 Three vehicles collided in Spring, Texas around 7:30 p.m. Saturday at FM 1960 and Millstone Drive leaving one driver dead and another seriously injured. 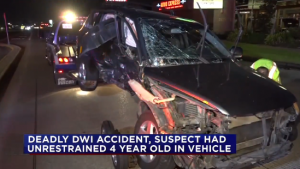 The vehicles involved were a blue-colored Scion four door car, an SUV and a pickup truck. Detective say the crash sent the pickup truck off the roadway, causing it to strike a utility pole and land in parking lot. 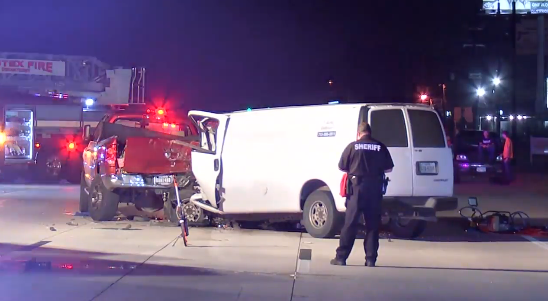 The driver of the pickup truck died at the scene, and the Scion driver was taken to hospital in serious condition. Channel 2’s article is here. If you have been injured in a serious car accident, Smith & Hassler offers a no-charge consultation, either in person or by phone. 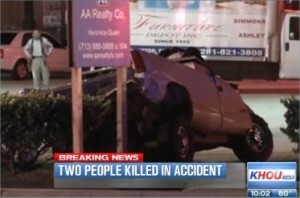 Visit www.smithandhassler.com or call 713 739 1250 to speak to an attorney. Two drivers were killed in a rear end car accident on FM 1960 on Saturday night. 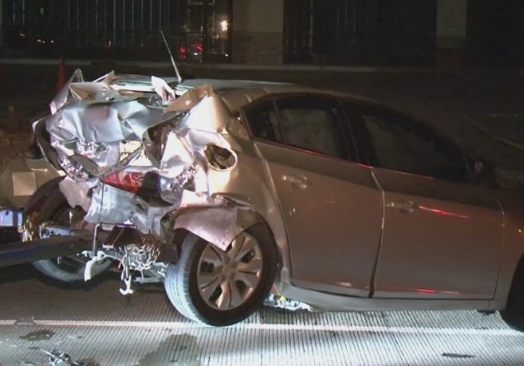 Harris County Precinct 4 Constables investigators say a white Chevy pickup was traveling eastbound on FM 1960 at a high rate of speed when it struck the rear of a Toyota Matrix compact car: two women were inside the Toyota. The pickup went airborne on impact and flew into a power pole, landing in a parking lot. The driver of the pickup truck was ejected, killing him on impact. The passenger in the Toyota Matrix was taken to Ben Taub Hospital in stable condition, the driver died on her way to hospital. 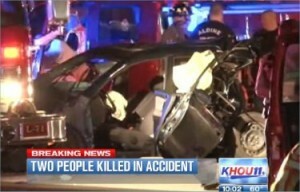 KHOU’s story is here.